KESS V2 5.017 updated version – KESS V2 5.028 is coming soon. So, what’s the difference between Kess V2 firmware 5.028 and Kess V2 firmware 5.017? New! work with Simos18 blocks released after summer 2015goda. New! work with Toyota on the protocol K-Line. New! Have luck to work with cars LandRover/Jaguar, incl. 2017 models thru OBD. 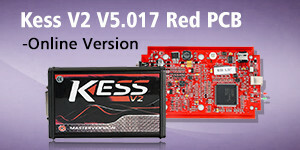 Well, just as we have seen, the features are appealling, and KESS V5.028 was based on famous Red PCB KESS 5.017, was the perfect replacement of kess 5.017,so in some degree,the new 5.028 kess v2 master will be a amazing ECU Flash Tools ,but it was still need to be tested and i believe, later the team will release more details about KESS V2 5.028 Master Kit,so let’s just stay tuned for more details later. But currently,i will give my opinions toward to KESS 5.017, after all, this is the best ECU programmer For OBDII flash by far , has a good reputation no matters in terms of features, performance, functions as well as price. KESS V2 supports all the main CAN / J1850 / K-LINE protocols and is designed to work with ECUs of cars, motorcycles and freight vehicles via a diagnostic connector (in the rarest cases, the computer has to be removed for reading on the table). Kess 5.028 Master – the record holder for the number of supported ECUs, supports the latest ECUs (including those from 2016 vehicles) EDC17, MEV17, MED17, ACDelco Exx, Delphi DCM 3.7, Siemens Simos 10.x with the new Infenion Tricore and Renesas processors and other control units for the engine and automatic transmission (including Mercedes EGS and VW / AUDI DSG series DQ200 and DQ250). The absolute majority of the computers are programmed via the diagnostic connector. Also, full support for the J1850 protocol is implemented, which now allows programming Ford cars and others using the j1850 (Ford Visteon EECV and others). The device works in conjunction with K-Suite software. The interface of the software is very clear and easy to use. For each ECU, there is a detailed system of prompts, and if required – a connection scheme “on the table”. For most ECUs, a reset of the checksum of the firmware is supported. For C167 / ST10xxx / Tricore TC17xx / family processors, it is possible to work in boot mode. Kess v2 5.028 Master is one of the most reliable and safe in the workloader and has the function of automatic backup and recovery of the computer. Also, the device constantly monitors the level of charge of the car battery and in the event of a voltage drop in a timely manner will tell you about it. The device can read-write to / from the calibration ECU, or a full flash image (where available) to the user’s choice. For read-write in a number of supported blocks, it is possible to manually adjust the exchange rate with the computer. In the same way, the Kess 2 Master loader has the function of reading and erasing errors in some computers and the reset function of the flash programming counter for the EDC16, EDC17, MED17 control units. Note: Kess V2 firmware 5.028 is not released yet. Here just share information with you all. For sake of security, you are advised to have Kess 5.017 coz it’s tested and used without issues by many. The update info will be released as soon as possible once Kess 5.028 is tested successfully and verified to work good on ECUs.